In a few short days, we will be kissing 2014 goodbye! This means that your company’s accountants will have to do period and year-end closing. This can be a difficult task using certain Accounting and ERP systems, but closing out the year in Carillon ERP takes no time at all. As we finish out this year, there are three pertinent features in Carillon that I want to review. First, Carillon allows you to close out periods and years with a single click. Secondly, Carillon allows clients to keep unlimited years and periods open at the same time. Finally, and arguably what makes Carillon’s ERP system unique, is that users are able to print W-2’s and 1099’s after cutting January payroll. There’s no more scrambling to cut your tax documents before payroll. 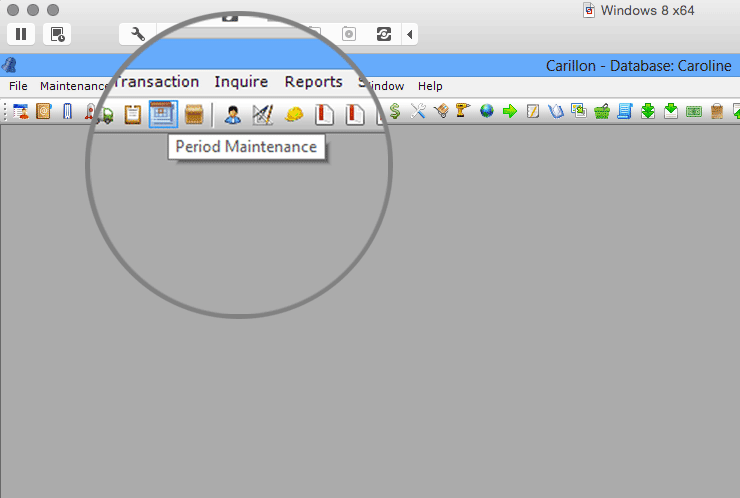 To close a period in our ERP system, go to Carillon’s Period Maintenance window, located under the Maintenance tab and on the toolbar. Carillon’s periods are date driven, which allows you to create periods that align with your company’s calendar. It also eliminates the need to alter dates on bills and orders to get them in the correct period. Only users with permission can access the Period Maintenance window. For a demonstration of how easy it is to close a period or year, please watch this short video. What makes Carillon ERP a cut above other Accounting/ERP systems on the market today is the ability for our users to have unlimited periods or years open at one time. In addition, Carillon allows you to keep unlimited years of history online. That allows you to access your audit trail from any period or year in the past at any time. For more information, see our Unlimited Years of History blog post. Cut your W2’s and 1099’s AFTER you process January Payroll! When the year closes, your accounting department is busy cutting W-2’s for employees and 1099’s for vendors. In most accounting systems, this is something that has to be done before you can close the year. This is a problem because you can only process your employee’s January payroll after you complete the W-2’s and 1099’s for year-end. What happens if your payroll date falls on January 2nd? That means that you have to cut all your W-2’s, 1099’s, AND payroll checks in 24 hours. In Carillon, we offer a solution for that problem – with our Accounting/ERP system, you can cut your payroll for January before you cut your W-2’s and 1099’s and close 2014. Trust us, your accountants will thank you for this luxury.